come with a x-1 ninja charger. 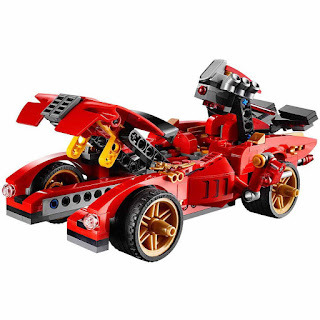 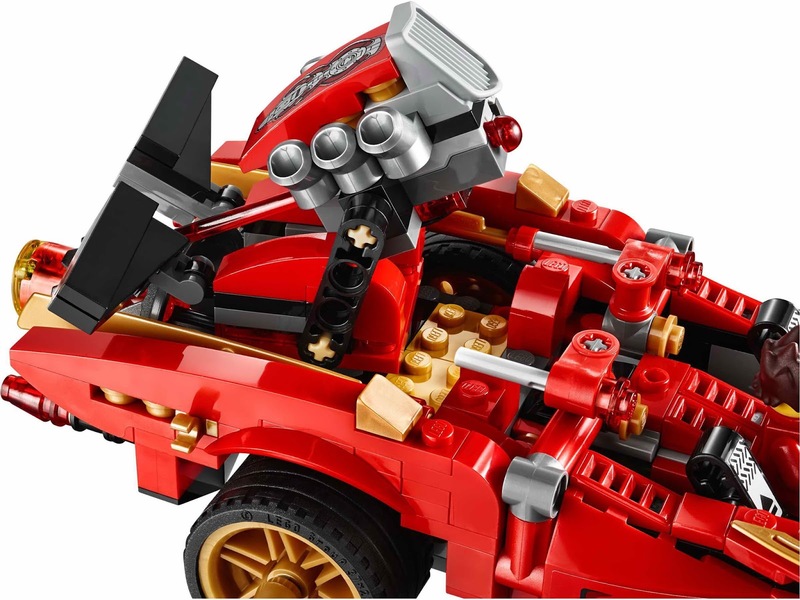 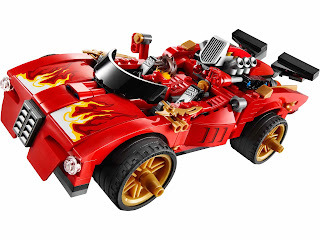 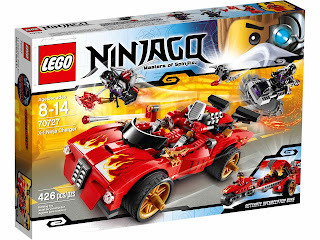 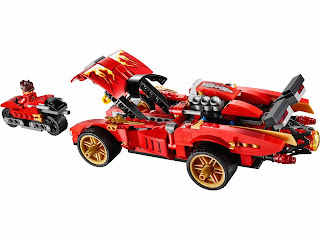 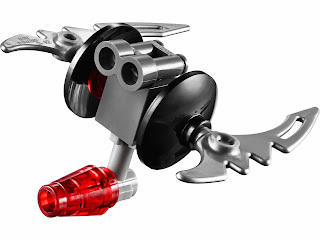 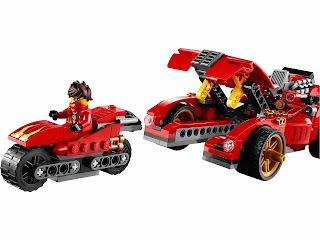 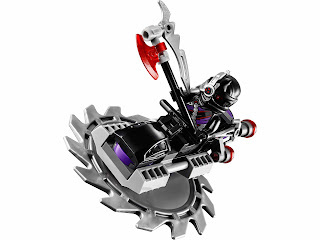 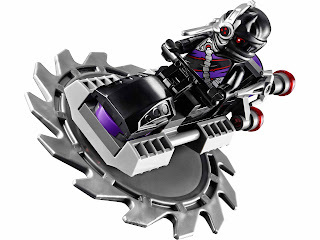 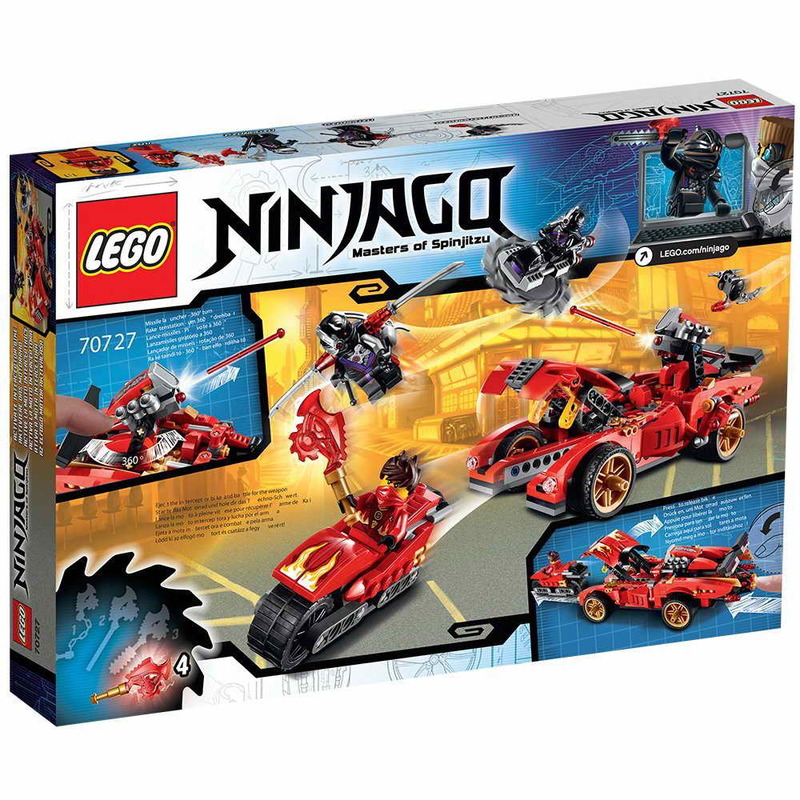 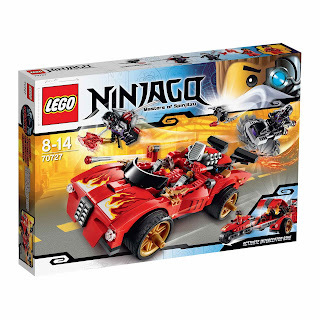 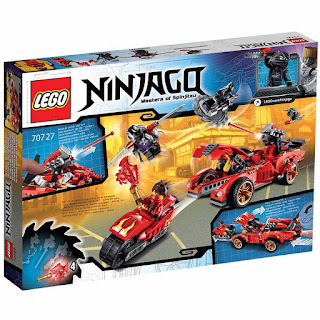 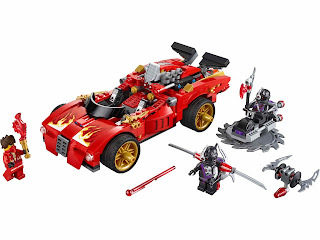 the vehicle has dual foldable laser flick missiles, a rotatable engine bay with fireable dual shooter, golden blade, a techno blade clip, rubber tread tires with golden rims, an openable hood, a built in recon nindroid with blades, a built in interceptor bike and a big exhaust with bike launching mechanism. 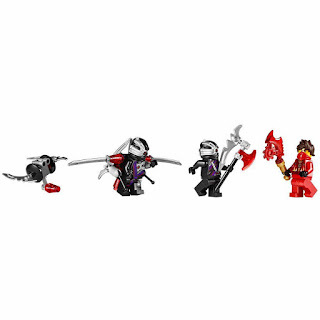 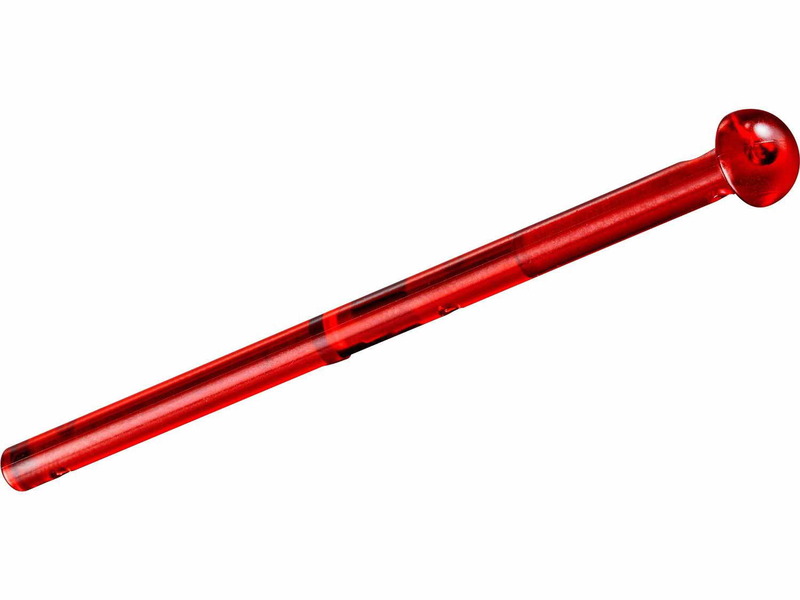 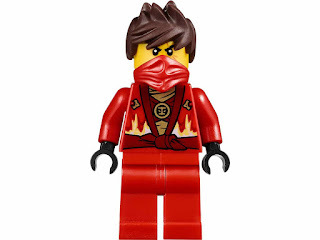 weapons included kai's transparent red techno blade, axe spear, twin blades jet pack and 2 swords. 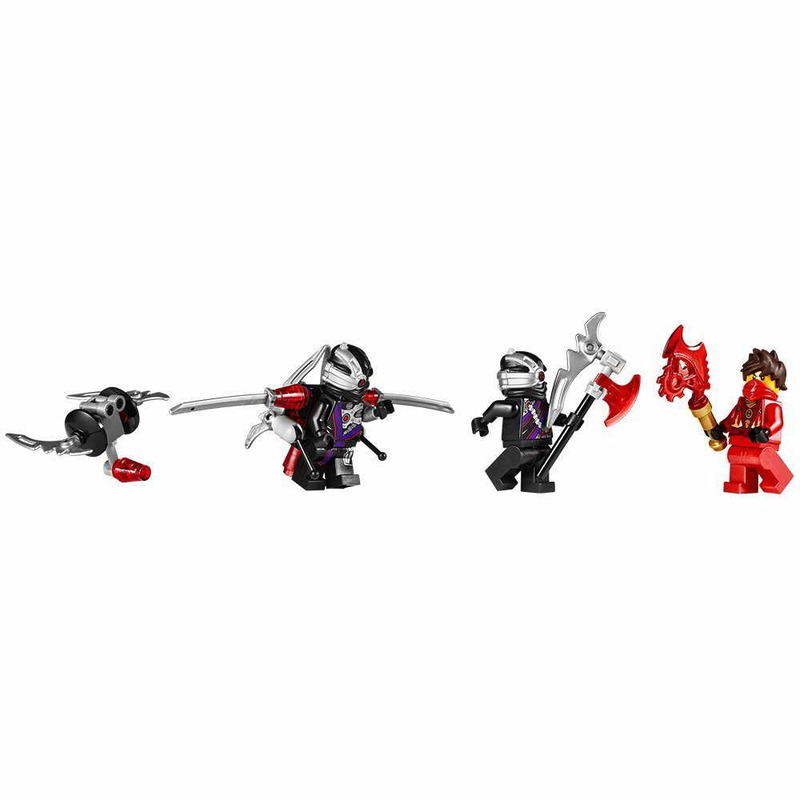 minifigs included a kai minifig and 2 nindroid minifigs.